We’re excited to announce that Ride4GWAAC 2018 is here – and early bird tickets are selling fast. Keep Sunday 15 July free, because this year is set to be even bigger and better than ever. There will be an exciting new route which we’ll be announcing soon. This year the ride will start and finish at St Mary’s Old Boys Rugby Club in Bradley Stoke , and we’ll be taking over the site for the whole day to provide a festival and family fun day. Expect live music, great food and some extra special entertainment which we’ll be announcing nearer the time. If you’re lucky you might even catch a special visit from our helicopter! 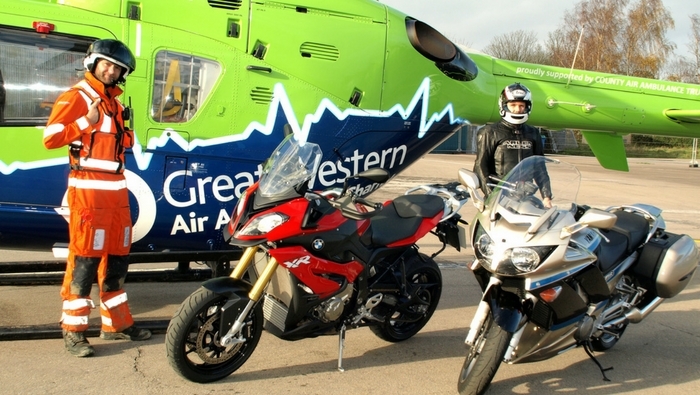 All proceeds from Ride4GWAAC go directly to The Great Western Air Ambulance Charity, allowing our crew of Critical Care Doctors and Paramedics to deliver their life-saving work across the region.